The Formula Monza series started in Italy in the late 1970s. It was a single seater racing class. The rules allowed for any motor less than 500cc. Also, the brakes and other driveline components had to be from a production car. This helped keep costs down. 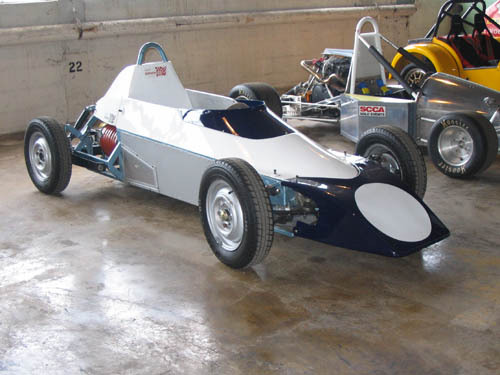 Not surprisingly, most Formula Monza cars were built around Fiat 500 drivetrain components. This racing series allowed for an inexpensive entry level car while at the same time provided exciting racing as the fields tended to be very large.